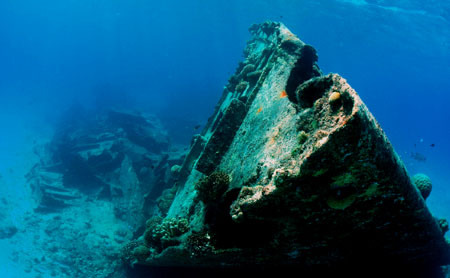 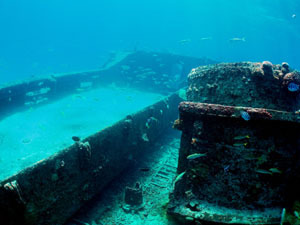 Nearly two dozen merchant vessels, including Shoan Maru, were sunk in Tanapag Lagoon and in Saipan's surrounding waters during WW�U. 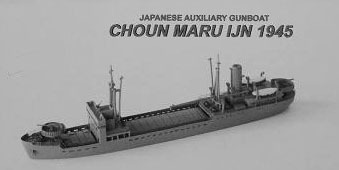 Shoan Maru was a steamer of 5,624 gross tons built in 1937, and later requisitioned for use during the war. 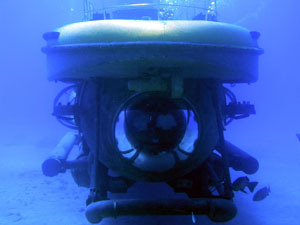 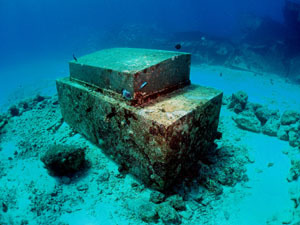 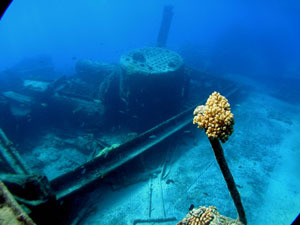 According U.S. records, it was torpedoed and later towed to Saipan for repair or salvage. 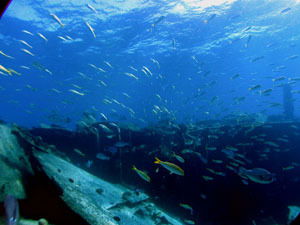 At this time Shoan Maru was torpedoed, it reportedly was carrying conscripted Korean soldiers, some of whom may have perished in the attack. 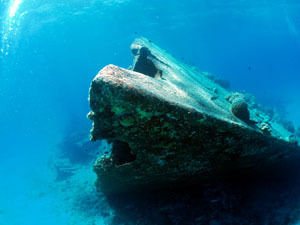 The ship was damaged beyond repair in February 1944 by aircraft assigned to the Task Force 58 carriers Essex and Yorktown.